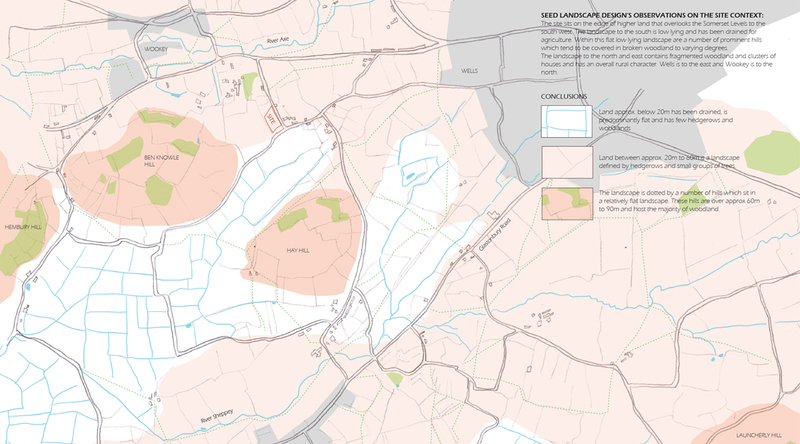 Working with Hudson Architects we were part of the team that secured the first successful NPPF Paragraph 55 planning application from Mendip District Council. 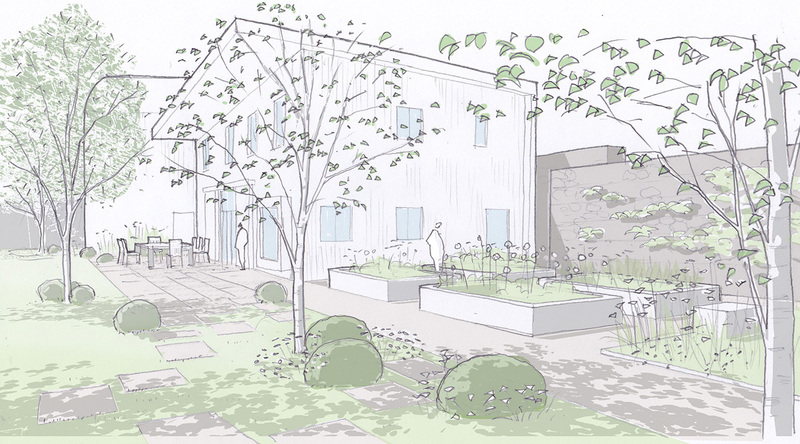 Our role was to put together a landscape proposal that successfully integrated a new, contemporary house into the beautiful landscape between the Mendip Hills and the Somerset Levels. 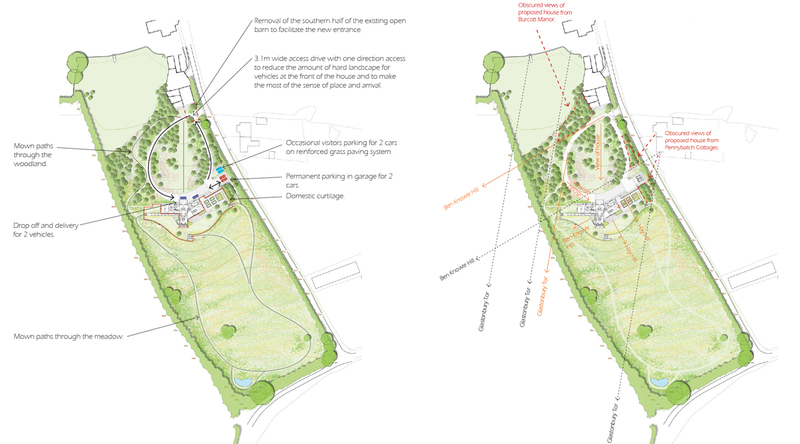 Our scheme has two distinct characters; to the north a wooded landscape that links into the existing patchwork of woodland on the surrounding high ground, and to the south a meadow landscape inspired by the surrounding low-lying grass and arable land. 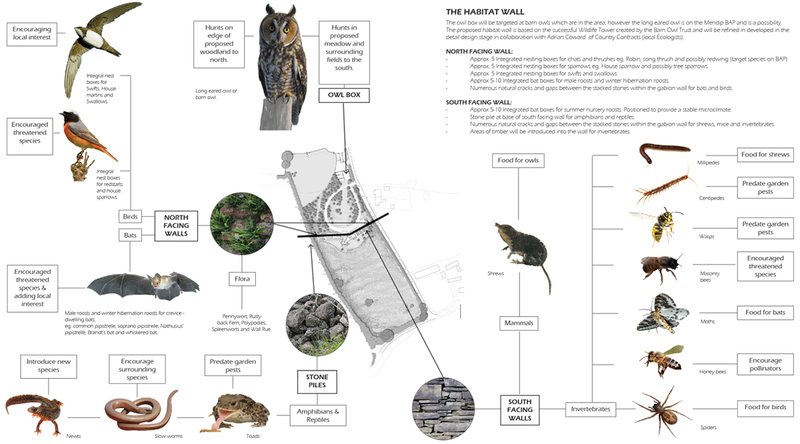 Separating these two distinct landscapes is a dry-stone wall constructed from gabions carefully filled with locally sourced stone to become a habitat wall. Long distant views out across the Levels are revealed only from the house or from the south side of the wall. Within the curtilage of the house is the domestic garden, defined by a 1m high ha-ha. This sinuous wall is the mediating element between the built form of the house and the natural curves of the surrounding landscape. The surrounded landscape has three distinct characters; wooded hilltops, meadow lowlands and an intermediate agricultural landscape typified by dry stone walls and copses of trees. 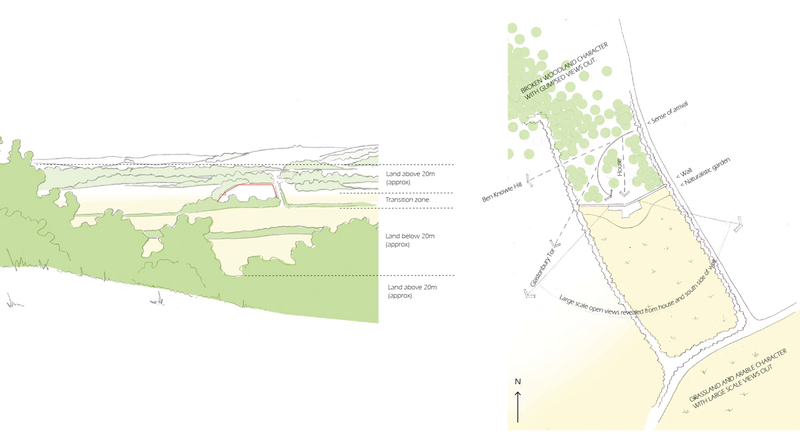 The site lies between the meadow lowlands and the agricultural landscape with its copses and dry stone walls. This formed the landscape concept. 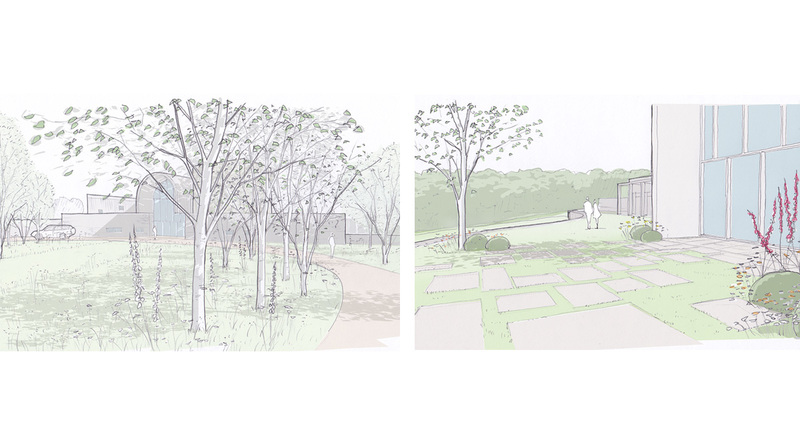 The concept for the approach to the house was all about creating a sense of arrival and revealing the surrounding landscape context. The curtilage of the house was defined by curving ha-ha walls within which domestic garden spaces were integrated.